TED began in 1984 as a conference where Technology, Entertainment, and Design converged, and today covers almost all topics — from science to business to global issues — in more than 100 languages. TEDx is an international community that organizes TED-style events anywhere and everywhere — celebrating locally-driven ideas and elevating them to a global stage. TEDx events are fully planned and coordinated independently, on a community-by-community basis. The content and design of each TEDx event are unique and developed independently, but all of them have features in common. 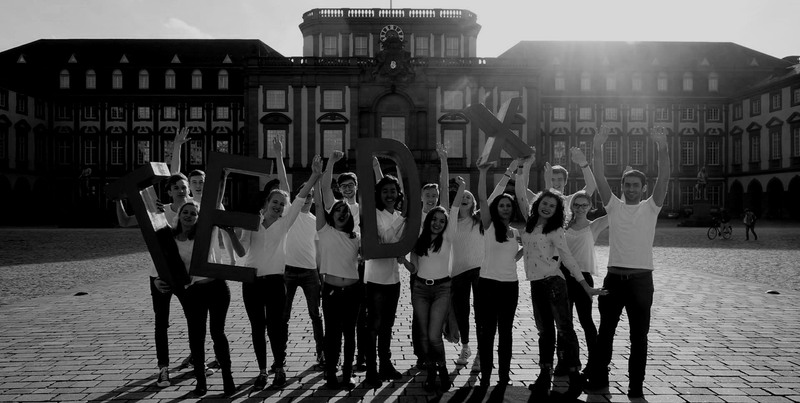 We are a very international group of 25 students and together, we have set the goal to establish an annual top-tier event at the University of Mannheim that connects talented students with remarkable scientists, artists, entrepreneurs and innovators. We want to provide a platform that creates lasting connections between the participants, organisers and speakers to establish a network that encourages both mutual learning and spreading innovative ideas. Visit our Instagram and Facebook pages!